Australia launched its first Voluntary National Review on the implementation of the Sustainable Development Goals (SDGs) last month, drawing on the initiatives and activities implemented by government, business sectors, civil society, academia, communities and individuals. 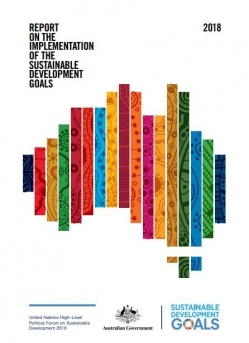 Data on the SDG indicators is accessible via the Australian Government’s Reporting Platform. Hundreds of ideas were generated during a panel session at the Ozwater’18 SDG Workshop about how water professionals might work together to progress the SDG agenda. To find out more about the suggested actions to be taken by the water sector visit the AWA website.